Wes Crawford and Josh Gary applied for the 2018 Prize for Teaching Excellence as a team. They bring 11 and 16 years respectively of teaching experience at Sutherlin High School in Sutherlin, Oregon, where they offer instruction in welding, woods manufacturing and agriculture. In 2017, they were named one of the 54 semifinalists of the inaugural Harbor Freight Tools for Schools Prize for Teaching Excellence. Crawford teaches welding as an Agricultural Science and Technology instructor, and draws upon his experience in many domains of the agriculture industry, including metal fabrication and mechanics, working closely over the years with members of industry to advance his own skills and those of his students. Active in state and national leadership initiatives to uplift and support agriculture and other career and technical education (CTE), he was recognized in 2017 as the Oregon Agriculture Teacher of the Year. Josh Gary leads woods-manufacturing coursework, where he draws upon years of practice in woods craftsmanship, mill experience, cabinet making, lathe turning, and home remodeling. Since taking over this post, like Crawford, he has continued to stretch the program with enhanced instructional strategies and technology for his students and the field, joining work groups of the Oregon Department of Education to advance CTE. 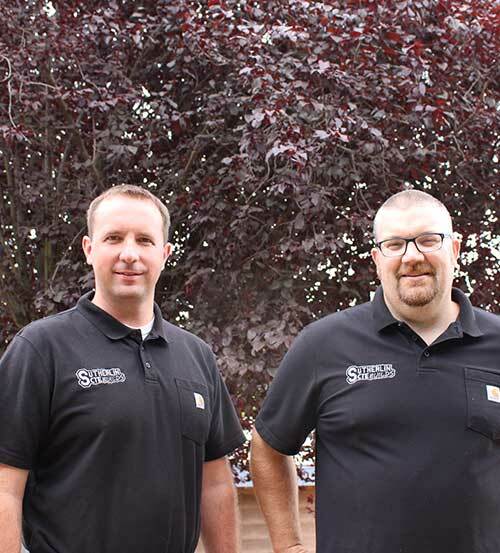 The pair reported that at the outset of their teaching at Sutherlin, the lack of welders, basic wood tools, facilities and technology support were a major roadblock for the curriculum they had in mind to prepare students for future careers in the trades. In 2013, the instructors developed and won a competitive CTE grant from the state, enabling them to modernize their programs for 21st century learning. They have continued to utilize student interests to drive much of their teaching – personalizing learning and integrating universal skills seamlessly to engage students and support their success in high school and beyond. To upgrade and ground their coursework, the duo involves 17 industry partners from within their region of global manufacturers to offer continuing advice on equipment and software selection, teaching strategies and projects, and they also share relationships, factory tours and candid career advice. To alleviate any financial barriers to student invention and participation, these Oregon teachers have built even deeper partnerships with industry for no or low-cost supports, such as access to a saw mill to create their own materials and the marketing of produced goods for sale to support their programs. For the past three years, the duo has offered a summer Shop Management Seminar for less experienced teachers of woods and welding; 100 teachers have participated thus far.